Garland Sets are used in large numbers on land conveyors and are moved around to follow the excavated source of the transported material. 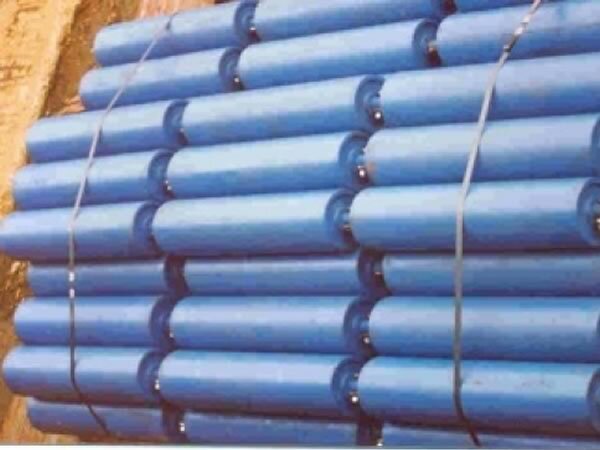 They are also used on heavy duty conveyors carrying up to 2000 TPH. A garland set consists of either 3 or 5 rollers and can be manufactured in steel of 101.6mm, 127mm, 159 mm or 168mm diameters. We also manufacture a rubber disc garland set using 152mm or 190mm diameter discs. A series of rubber discs are hydraulically fitted over a 101.6mm pipe to cover the length of each roller in the set. 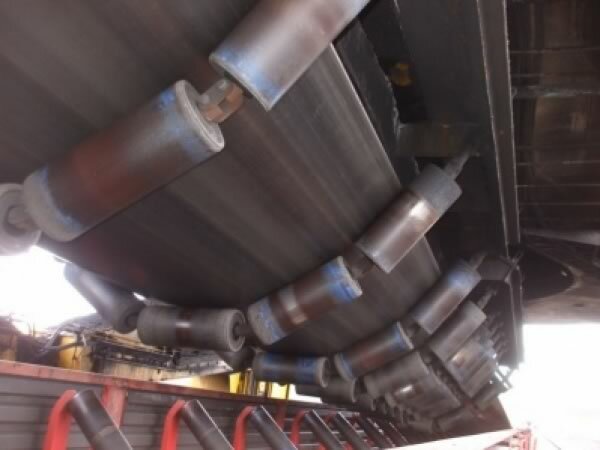 These discs are held securely in place by retainer rings welded at each end of the roller. Each garland set is manufactured to the abbey design and construction using heavy duty machined cast iron end covers, machined shafts, double rubber sealed for life 2RSC3 bearings and double lip rubber seals. 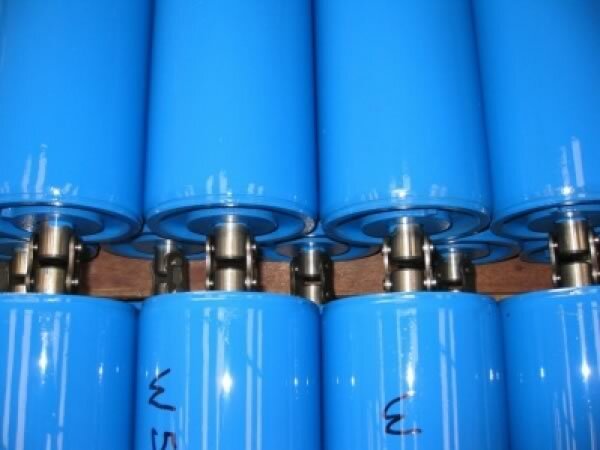 Each roller has a projecting shaft at each end with holes drilled trough to accommodate the linkages that connect the rollers together. 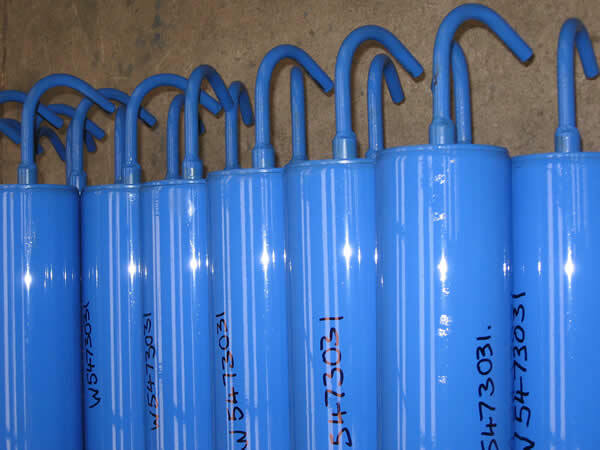 There linkages are manufactured from high tensile steel and can cater for high tonnages per hour easily. 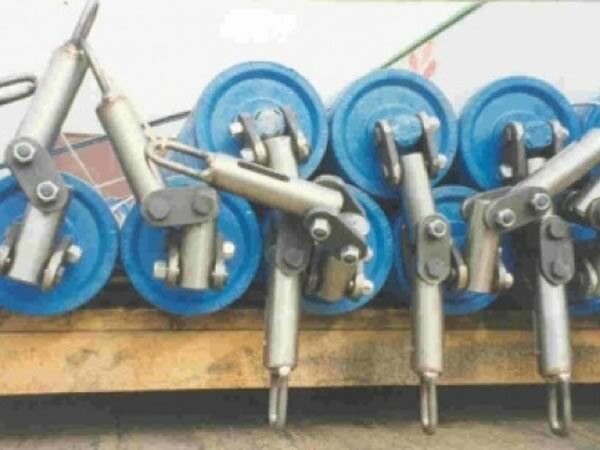 As a garland set does not have a base frame structure you can secure them to the conveyor structure by means of wedges, heavy duty chains or hooks each permitting the flexibility the sets are manufactured for.